Shop till you drop at The Bed Silk & Pashmina and Varanasi Remembrances. There's still lots to do: examine the collection at Bharat Kala Bhavan, appreciate the history behind Dhamek Stupa, contemplate the waterfront views at Ganges River, and take in the spiritual surroundings of Sarnath. 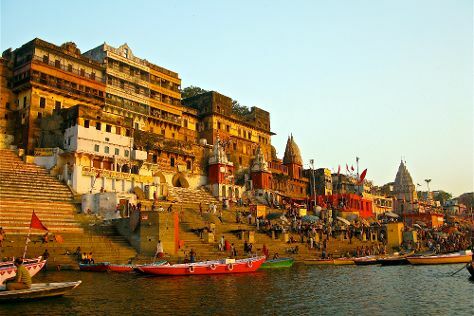 To find reviews, where to stay, other places to visit, and more tourist information, use the Varanasi vacation trip planner. Wrap up your sightseeing on the 27th (Sat) to allow time to travel back home.